Yes some women have said that. The men, well they wouldn’t know. Scaling of teeth has been made easier for the dentist with the advent of the ultrasonic cleaner. The device has a tip that vibrates at very high frequency to shake the hardened calcified bacteria plaque known as calculus or tartar. The tip can get quite hot at such speeds and needs to be cooled done by water. The tip also produces a fine mist to cool the tip and to wash away the loosened calculus. Sounds great for the dentist! But if the calculus has been there for a while on the root surface then its removal exposes a part of the tooth that has not been exposed to the outside world for a while. Guess what? It can be quite sensitive for some patients! It is necessary to remove the calculus as it provides an infected material for nastier bacteria to hide and causes irritation to the adjacent gums. Sometimes if there is a lot of calculus that has also developed below the gums (called sub-gingival calculus) then a second visit may be needed. 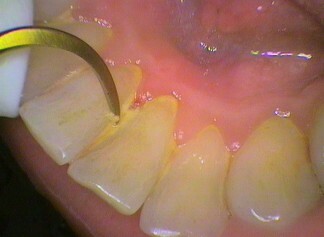 The first visit removes the calculus above the gum. 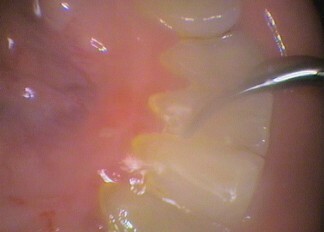 Then on the second visit the gums inflammation and swelling would have reduced exposing the calculus under the gum more easily. This approach is kinder to the patient and enables better vision with less bleeding. If the sensitivity is unbearable to the water spray then the calculus removal can be done with a handscaler. This takes a lot longer but is usually less sensitive. In some situations where extensive cleaning is needed, then using local anaesthetic to numb the area of gums may be necessary to achieve the best results. And, yes, it will bleed afterwards with proper cleaning but think of the calculus as splinters that need to be removed. This is sensitive. 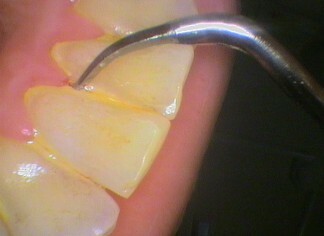 Proper cleaning of the teeth afterwards keeps the wound clean so that the gums can heal. The sensitivity can be reduced by desensitizing toothpastes. DO NOT STOP CLEANING IF THEY BLEED! Be patient, the bleeding usually will reduce over the next couple of days.